President Carlos Alvarado announced that Costa Rica will throw its hat in the ring to host the COP25 Climate Change Conference in 2019. 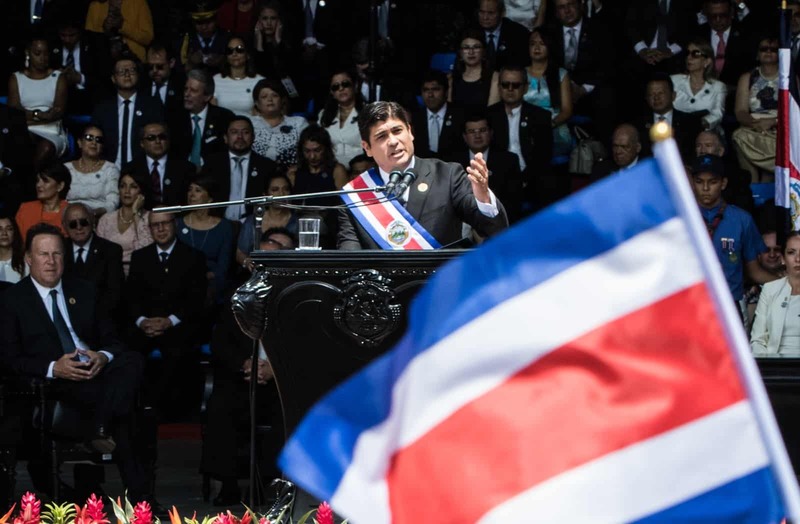 President Alvarado has also stated he’d like Costa Rica to become the first carbon-neutral nation by 2021. The location for the conference, which takes place Nov. 11-22, is now unknown after Brazil withdrew its candidacy in late November. Brazilian news site O Globo obtained the official statement announcing Brazil’s withdrawal from the UN climate conference. It stated budgetary concerns and the presidential transition, which takes place Jan. 1, 2019, as reasons for not hosting the event. Jair Bolsonaro, Brazil’s president-elect, has hinted that he’d withdraw Brazil from the Paris Accords and stated that international efforts to protect the Amazon would infringe on Brazilian sovereignty. Bolsonaro has also said he won’t let conservation impede Brazilian development. Can it still be agua de sapo if El Portón Rojo mixes it with rum?